Vassallo made her curatorial debut in 2003 with a series of weekend-long exhibitions in a Queens apartment. Since then she has organized projects for a variety of venues. Notable projects include a 40-person exhibition in the abandoned St. Cecilia’s convent (system:system), a miniature golf course inspired by US immigration policy for Jersey City Museum (The Golden Door), a program of digital artworks projected onto the Manhattan Bridge through NYC DOT (Bright Nights), and a traveling show about macabre tendencies in contemporary Norwegian art at chashama and Lafayette College (DARKNESS DESCENDS: Norwegian Art Now). Vassallo previously served as Associate Director of Kinz, Tillou + Feigen gallery and ART&IDEA gallery, as well as Assistant Curator at American Federation of Arts. In 2007 she founded Random Number, her curatorial platform. She holds a B.A. in art history from New York University and an M.A. in visual arts management from NYU. 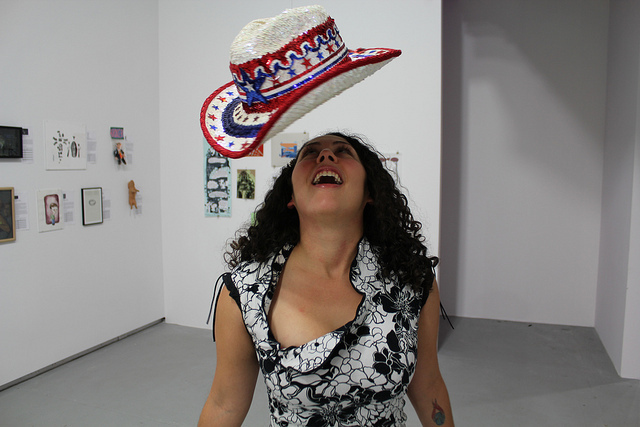 previous post: Flux Factory is seeking new Artists-in-residence!